Forget that saying about necessity being the mother of invention. 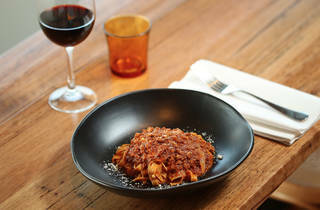 Melbourne’s restless restaurant scene means reinvention is a mother of a necessity. 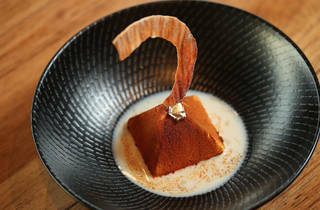 Just witness the recent rebirth of Attica and Cutler & Co. Sure, their expensive makeovers could simply be based on an ill-founded shibboleth of restaurateurs who lie awake at 3am questioning their customers’ loyalty. But it’s better to be safe than sorry, right? 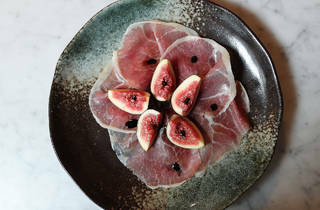 It’s a similar story with our current subject, a far humbler address on Bridge Road, Richmond, where one of the best Italian restaurants in Melbourne has recently been reimagined into… one of the best Italian restaurants in Melbourne. 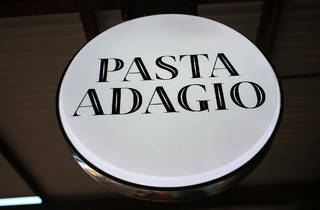 Pasta Adagio (literally, slow pasta) was until recently known as Osteria La Passione. 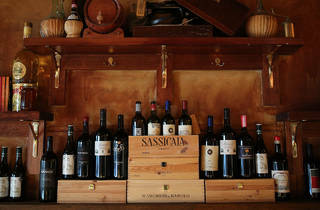 A simple place serving some of the most bang-on authentic Italian food you’re likely to find anywhere. 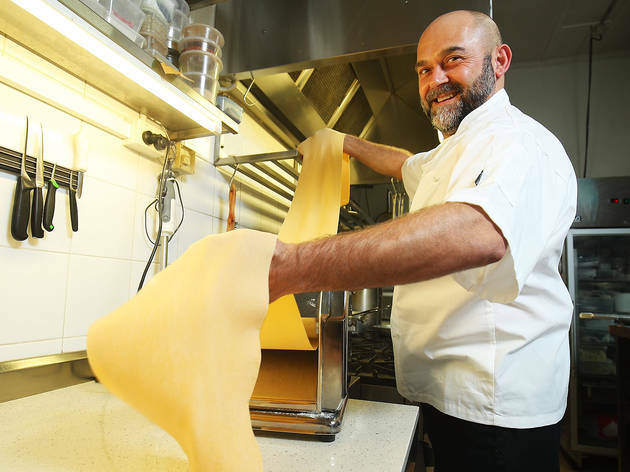 Whatever the reason, after six years, chef and owner Carmine Costantini felt the need for a change, put the broom through and reopened with a keener pasta focus. 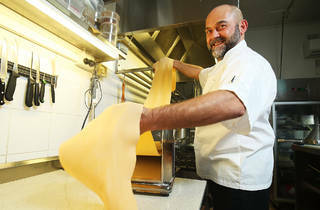 Costantini is the real deal; old fashioned cooking values given human form. 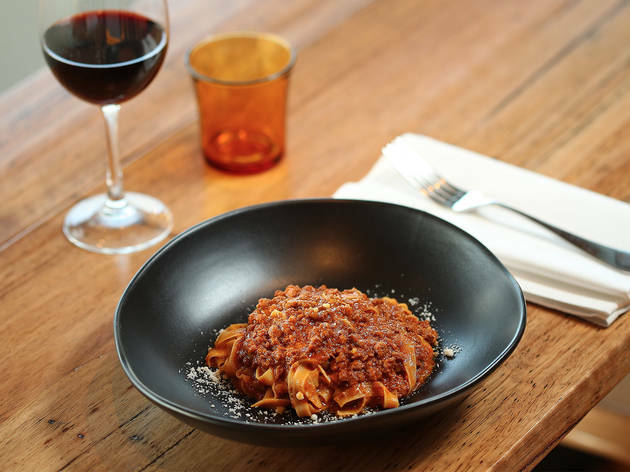 And the man makes the best ragu in town – a silken (he adds a fair whack of butter at the end) mélange of beef, pork and veal in a shimmering tomato sugo, all wrapped around supple ribbons of egg-rich tagliatelle. Right here, the resounding answer to that last meal on earth hypothetical. 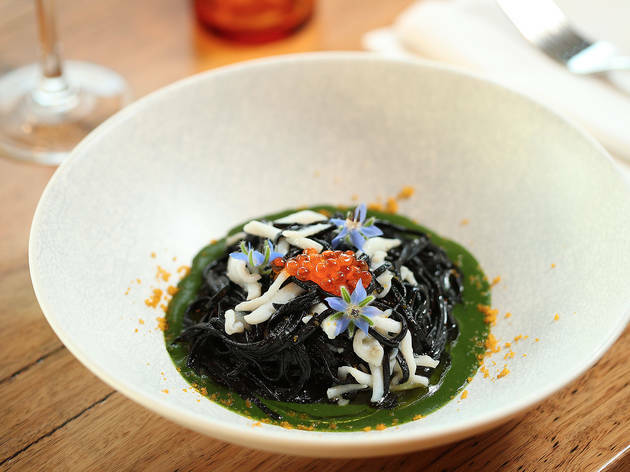 The tagliolini al nero is no slouch either. 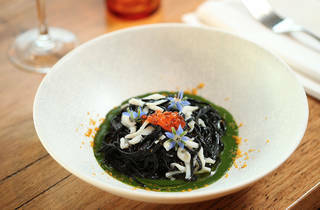 The pasta is stained black with squid ink and comes with soft white swatches of calamari, a salty dusting of bottarga and salmon roe, and a fresh sluice of wickedly green pureed borage. 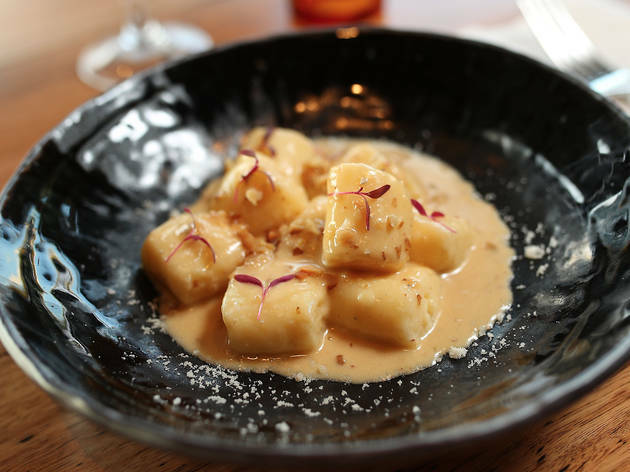 Definitely order the levitating ricotta gnocchi in a heady gorgonzola sauce that somehow manage to be both delicious and gluten free. 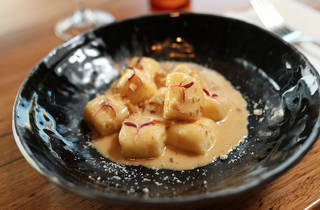 This is stuff that would give Neil Perry’s swanky Rosetta, Guy Grossi’s gorgeous Grossi Florentino, a run for their money. 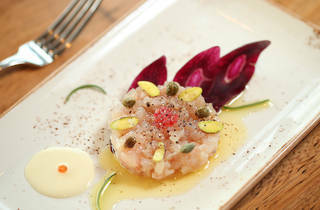 You won’t get russet velvet banquettes and marble floors, wainscoting and antique murals. 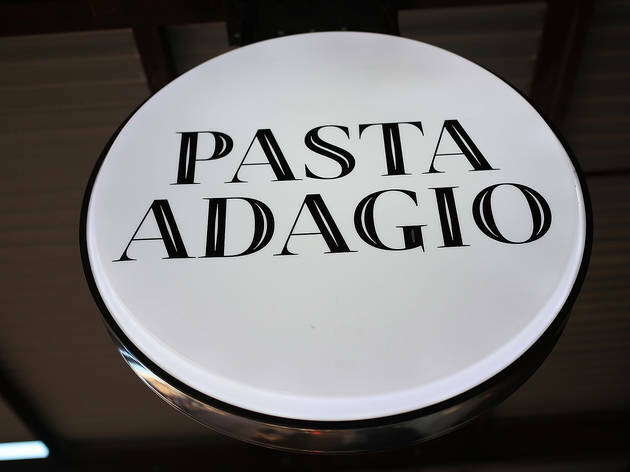 Pasta Adagio is an operation that follows a simple brief. 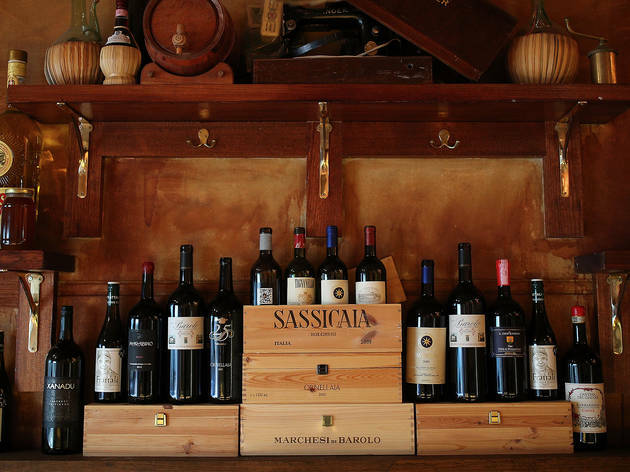 Wood paneling on the walls; wine bottles on display (the list has plenty of Italian fun across a broad price point); charcuterie, some of which comes from Costantini’s own farm, in the glass display cabinet. 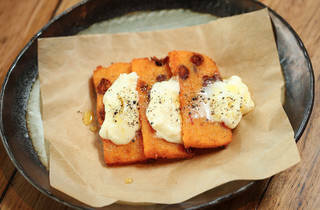 If you’re one of those sad, paleo-driven pasta wowsers that cabinet ought to be the Holy Grail. 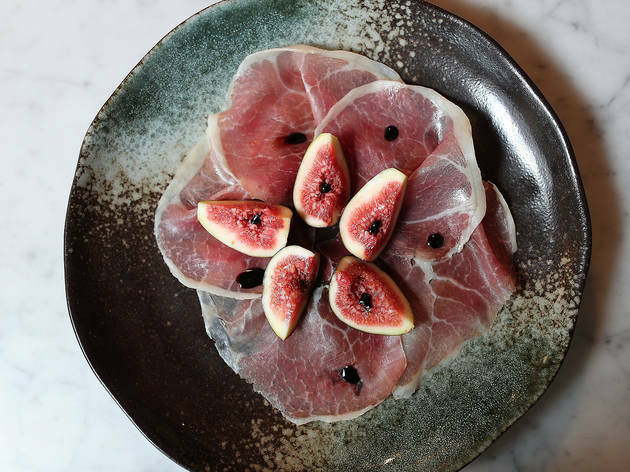 A simple plate of his culatello, sliced tissue-thin and topped with fresh figs and a perfume dab of 30-year-old balsamic is about as good as it gets. 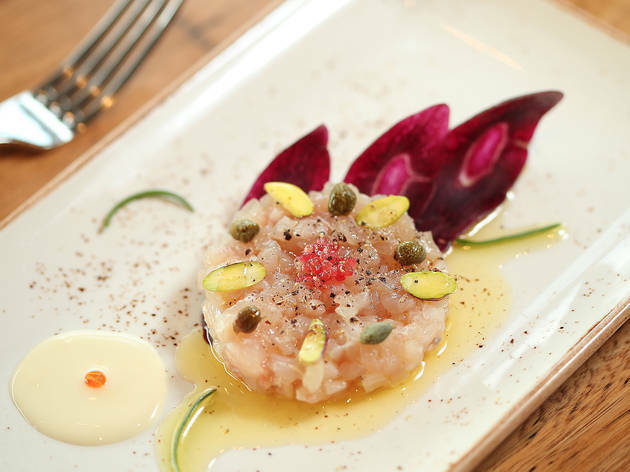 There’s other not-pasta worth your while: kingfish crudo and garlic cream with capers, fingerlime and pistachio - a one-punch knockout. 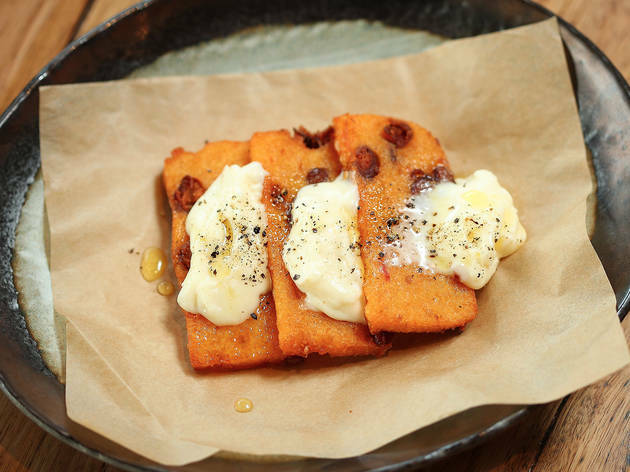 And rectangles of borlotti bean-studded, fried polenta topped with a gooey peak of squacquerone, the tangy Emilia Romagna-bred cream cheese triangulating rustic good times. 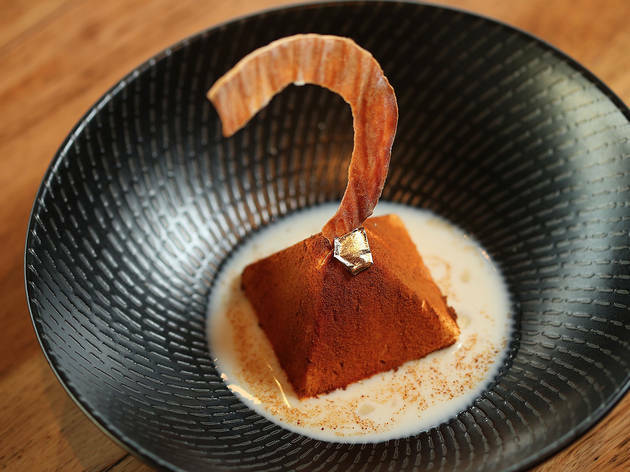 If desserts aren’t exactly showstoppers (an amaretti pumpkin semifreddo with chestnut Anglaise treads that eternally divisive sweet/savoury line) it matters not a jot, because Osteria La Passione - sorry, Pasta Adagio is such a winner in every other respect. Welcome (back).